Remember when this game was supposed to launch alongside Star Fox Zero? Nintendo really dropped the ball on the Wii U in 2015- coming into this year, on the back of an especially strong 2014, it looked like the Wii U’s 2015 lineup would be even more stacked. Instead, here we are on the cusp of the holiday season, all the big games delayed, and Nintendo’s tentpole release for the year a Mario Tennis game. Seriously, that’s what we’ve come to- Mario Tennis Ultra Smash is the big Wii U holiday season game. I mean, don’t get me wrong, Mario Tennis is fun, but it’s more of a second tier game used to fill up the gaps in a lineup, not be the release to prop up an entire lineup on. It is what it is, I suppose. Nintendo’s job now, in any case, is to promote the game, and so here we are with a brand new video for it. You can check it out for yourself below. 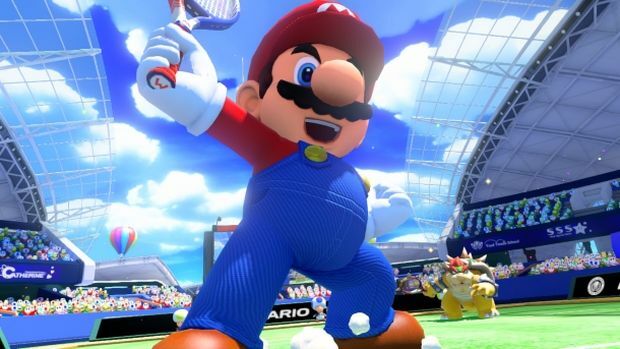 Mario Tennis Ultra Smash launches exclusively for the Wii U later this month. Stay tuned for more coverage.